Το Check In Hotel είναι μια πολύ καλή επιλογή για τη διαμονή σας σε Cameron Highlands, είτε είστε τουρίστας είτε επαγγελματίας. Το ξενοδοχείο βρίσκεται από το κέντρο της πόλης και σας προσφέρει εύκολη πρόσβαση σε σημαντικά μέρη της. Με την βολική του τοποθεσία, το ξενοδοχείο προσφέρει εύκολη πρόσβαση στους προορισμούς της πόλης που πρέπει οπωσδήποτε να δείτε. Το Check In Hotel προσφέρει επίσης πολλές εγκαταστάσεις για να εμπλουτίσετε την διαμονή σας στη Cameron Highlands. Κορυφαία χαρακτηριστικά του ξενοδοχείου συμπεριλαμβάνουν τα δωρεάν WiFi σε όλα τα δωμάτια, 24ωρη φύλαξη, ημερήσιος καθαρισμός, υπηρεσία ταξί, ασύρματη σύνδεση Wi-Fi σε δημόσιους χώρους. Το ξενοδοχείο διαθέτει 8 όμορφα διακοσμημένα δωμάτια, πολλά από τα οποία περιλαμβάνουν επίπεδη τηλεόραση, ασύρματη σύνδεση internet (δωρεάν), δωμάτια για μη καπνίζοντες, γραφείο, ανεμιστήρας. Το ξενοδοχείο προσφέρει μερικές μοναδικές ευκαιρίες ψυχαγώγησης όπως οι μονοπάτια για πεζοπορία, γήπεδο γκολφ (σε απόσταση 3χλμ.). Όποιος κι αν είναι ο σκοπός της επίσκεψης σας, το Check In Hotel είναι μια εξαιρετική επιλογή για την διαμονή σας στη Cameron Highlands. Cooking in the room is strictly not allowed at this property. 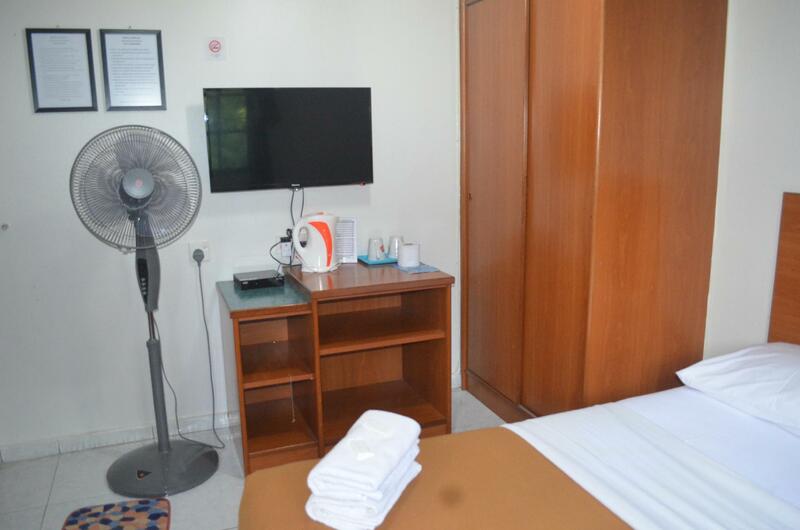 A security deposit of MYR 100 per private room and MYR 30 per dorm bed is required upon check-in for charges or damages during the stay and will be refunded upon departure. Έως και 1 παιδιά ηλικίας κάτω των 5 ετών διαμένουν δωρεάν εφόσον χρησιμοποιούν τα υπάρχοντα κρεβάτια. Κάθε επιπλέον παιδί θα χρεώνεται με ένα επιπλέον κόστος. The hostel was clean and tidy but the reception was the worst. We tried ti book a bus (a service that the hostel offers) and it took 10 different calls, which I had to do to book it and overall 40 minutes. The staff didnt give us a receipt until I asked him when I realised 1 hour later. We were told that the counter opens at 7 in the korning and since our checkout was at 7.45 we wanted our deposit back but the counter wasnt open, so we had to leave the deposit behind. Dear Alina, I believe you have collected your deposit before 8pm where you call to confirm on your Taman Negara transfer. The Management. the room itself was clean, spacious and comfortable to relax in. tea and hot water was free all day which was a nice touch. location was great for the brinchang area, super close to shops and restaurants. only thing i would say is was quite noisy in the evenings as our room was at the front of the hotel. After checkin the hotel they give me a room,toilet water licking, after tell customer service they change another room. 2nd room also got problem...so dissapointed! Cleanliness tip top.. plenty restaurants n shops aroud.. just nice for budget travellers! Marvina at the front desk was an absolute delight as were the other staff. Wi-Fi on the cheapest 7th floor never worked, on the 6th sometimes but very slow. What I saved in hostel costs I overpaid in drinks at a local coffee shop for internet. One toilet and shower per floor but rooms were clean. Dear Rachel, I think you have reviewed a wrong hotel. We have no such staff name of Marvina, and our highest floor is level 3. Thanks & regards, The management. This hotel is a small one and is a few minutes from the bus stop but that gives you a place that is close to some of the trekking but not too far from where most people are. It was a nice room, that was clean. The shared washroom was good and the room was big and it was nice for once having a TV in the room. If I get the chance to go back and was going to trek around this is one place I will come back to just because of its location and the ease of access to the hills and tea plantations. The Hotel is clean and staff always ready to assist you. Weather really cold. Have TV facilities, I do enjoy my day stay there, but I wish they could have serve breakfast in morning, overall i'm satisfied and money worth. The hotel located at very strategic location. 5 minutes walking distance to brinchang night market. Suit for backpackers. 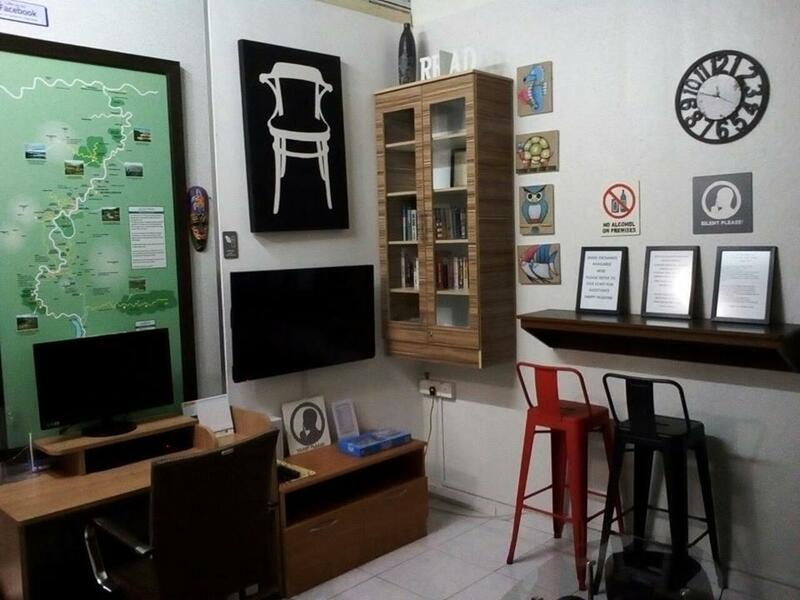 Near taxi station, near mini mart and good location to find food within short walking distance. 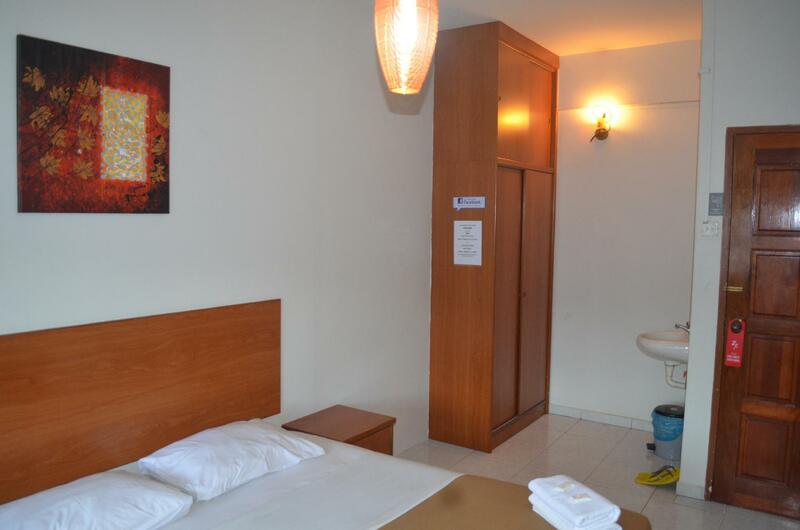 room were clean and tidy You can also rent a bicycle at the front desk. Overall, i am satisfied. I didn't expect much since it was a budget hotel. Check in and reception were fine. Beds were squeaky and not much comfortable. Everything from the linens to the bathrooms were clean. Shower is a little bit cold with low water pressure. They provided free tea and fresh towels everyday. Wi-Fi was very slow, almost unusable. The price is worth for money. Cheap and u get comfortable room. But for women muslim im not really encourage since the toilet is outside ur room. U hve to cover ur aurah and wear suitable attire if u want to go to toilet. But i dont see its a big pob. Might wanna stay for next trip. Friendliest staff with cleaniest room. Even im booking dorm, im still feel at home. Free flow tea, astro for you to watch fotball during weekend and place for backpackers to hang out. Not to forget its strategic location. Just 3 minutes walk to nigt market. Stayed for one day in Binchang without really knowing what to do with my limited time. The owner helped me (on my request) as to what I could do and even suggested I went hiking with others if I felt like. The room I stayed in was very clean as well as the washroom area. Every floor has a nice living area, with hot water at your disposal. All in all a very good hotel but foremost excellent host. The hotel is clean and affordable. The staffs are friendly and there provides tour package and the service of reservation of the bus ticket, so we no need to go out to find a travel agency or purposely to go Tanah Rata to reserve the bus ticket. room is clean, hotel is clean, toilet is clean, but the number of toilet is not really enough during morning, as is the shared bathroom...the blanket, make me feel itchy, because the blanket is furry, can request a white cloth to place between..just like most hotel...maybe the hotel management lack of experience, but staff is helpful in anything. + The hotel is clean and near the taxi hub. It’s easy to find food and shops to buy water or snacks. 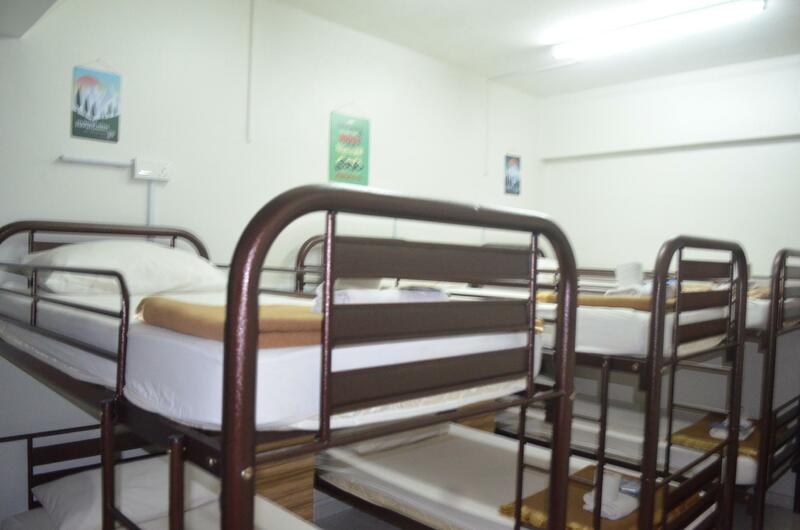 The bed is comfortable and you have a dinning room equipped with the basic stuff. - The hotel is a bit old and shady at the entrance. For a super budget room it doesn’t make sense to pay a 100rm caution. Some staff sleep on the living room at night so it’s strange to go to the shared bathroom. The location is in a small village near the main one so there’s nothing much to do. But that’s the problem of the whole Cameron highlands I guess.. a lot of farms, all not that cool and you have to pay for everything, even to harvest ONE strawberry. Never getting back to Cameron again for sure.